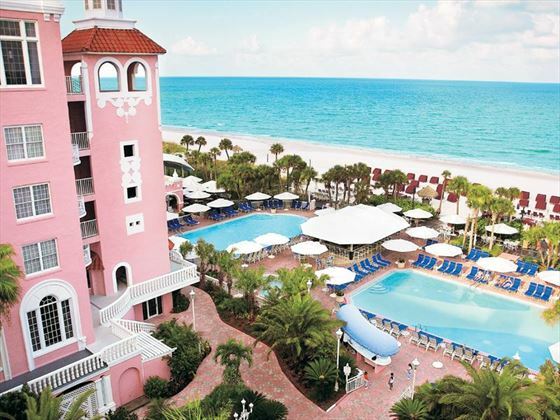 Iconic and unique, The Don Cesar Hotel is a luxurious hotel set just a few steps from the glorious white sands at St Pete Beach. This is one property you can’t fail to miss – it’s grand, lavish and very pink. But this is a hotel that is as much substance as it is style; the lovely surroundings and decadent interior make for a fantastic place to stay. This property boasts decadent features and elegant accommodation for a truly luxurious escape. Popular with celebrities of past and present and fusing old school glamour with modern luxuries, this lavish retreat is known as the Pink Palace. 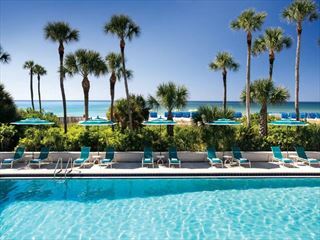 It’s based on a seven mile stretch of achingly beautiful beach and is within easy travelling distance of some fantastic attractions, including the theme park Busch Gardens, the Florida Aquarium and the Museum of Fine Arts. Just steps from the pristene sands of St Petes Beach and about 45 minutes from the attractions of Tampa, including Busch Gardens. Uncle Andy's Ice Cream Parlor- featuring authentically local homemade icecream. Prices correct as at 6pm on 18 Apr 2019. Please call for final price. Prices are per person based on 2 adults sharing a room. Other durations available - call for quote. Prices include flight and accommodation as stated below and car hire including Dollar rent-a-car's 'fully inclusive' insurance package. For more car hire options please ask your travel expert. 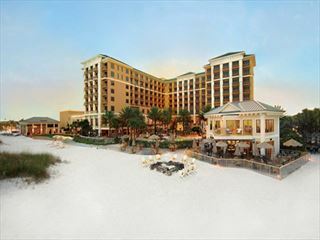 Discover the perfect holiday at Sandpearl Resort, Clearwater Beach’s truly unique resort experience. Where nothing stands between you and the powder-soft white sand. Where the spirit is refreshed, the body is renewed and relationships are rejuvenated.